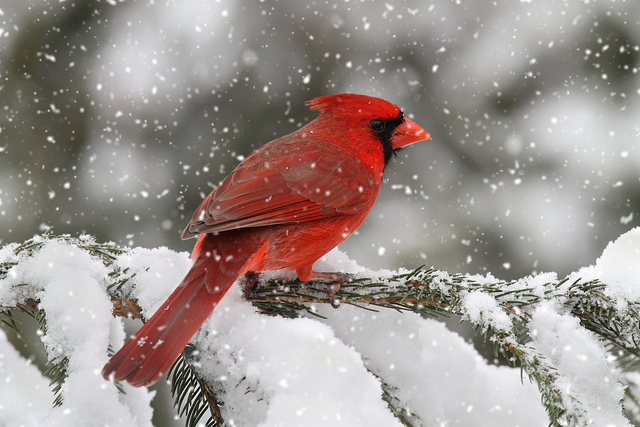 I want to capture the joy of the Christmas season by using bright red cardinals. I want to suggest snow, and so, I look through my painted papers. I begin this piece with an icy blue background. Then, I add pine cones and evergreens that are torn, so they suggest a touch of snow. 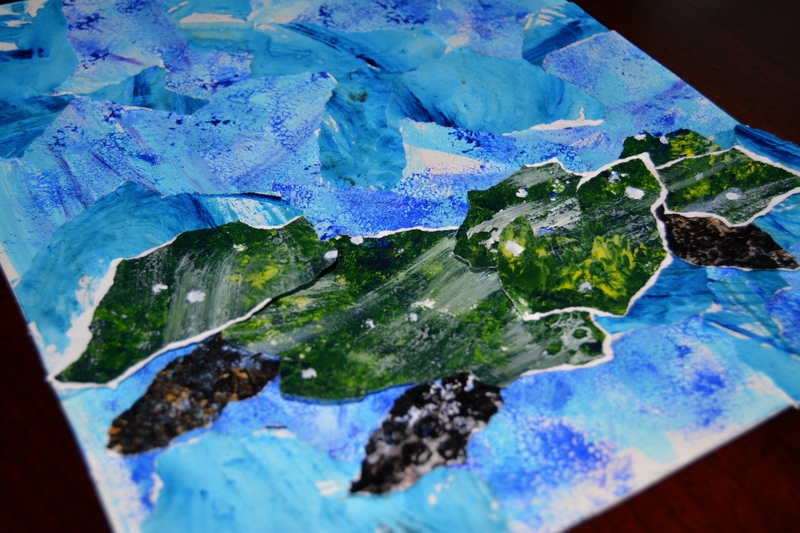 I had painted the green papers 4 years ago, and I had painted dots of white to suggest snow. 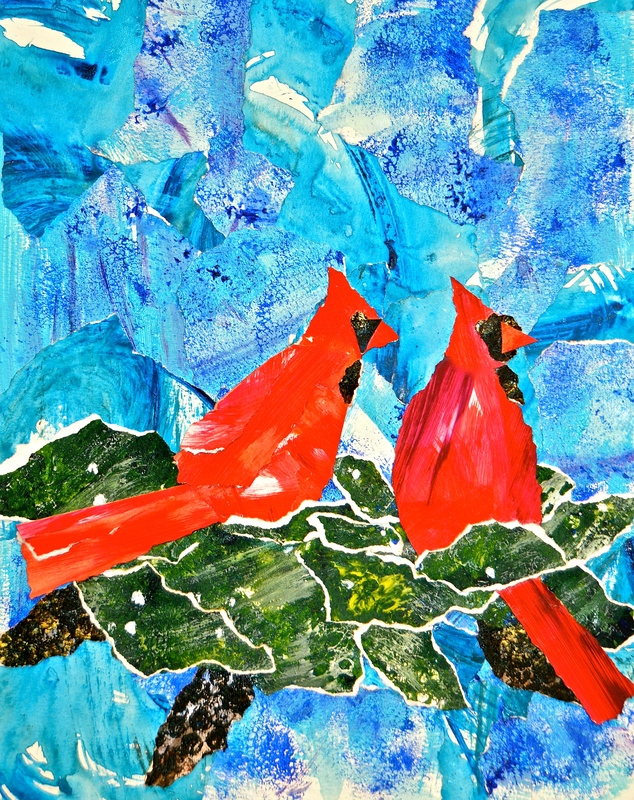 Next, I add two red cardinals. They are vividly colored birds with unique markings. The bright red brings joy to my soul. My collage of “nature singing” is complete, and my own heart sings a bit as I place this work in my bedroom. It will encourage my heart when I go through the next chemo – coming up Christmas Eve. I know Heaven will be singing as we celebrate the birth of Jesus, our saviour and rescuer from sin, darkness, cancer and death. And, so will the birds! Love the cardinals . Are you making copies and selling them. Every time I see a cardinal I feel it’s like s kiss from God. 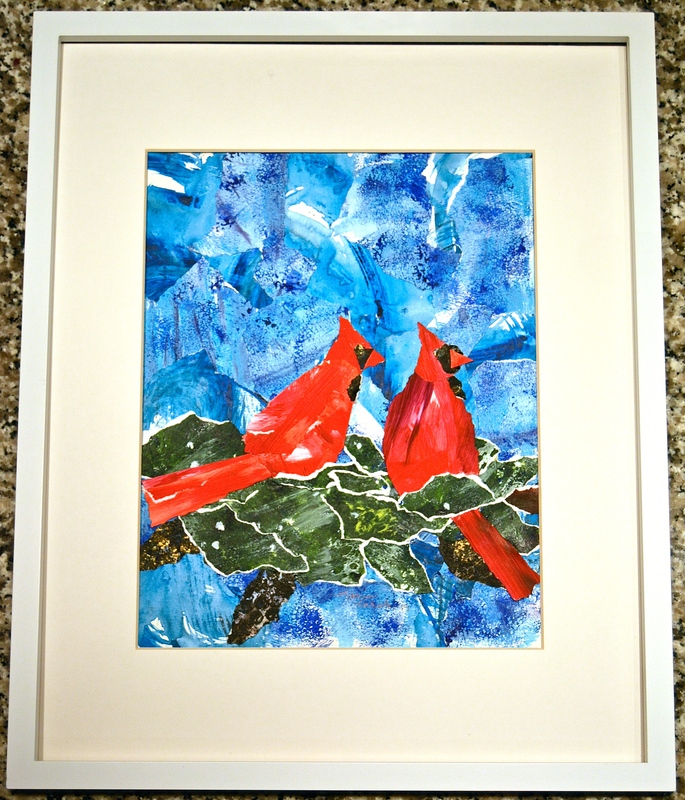 Thank you Marcia – my favorite birds too! You are so talented! Blessings!